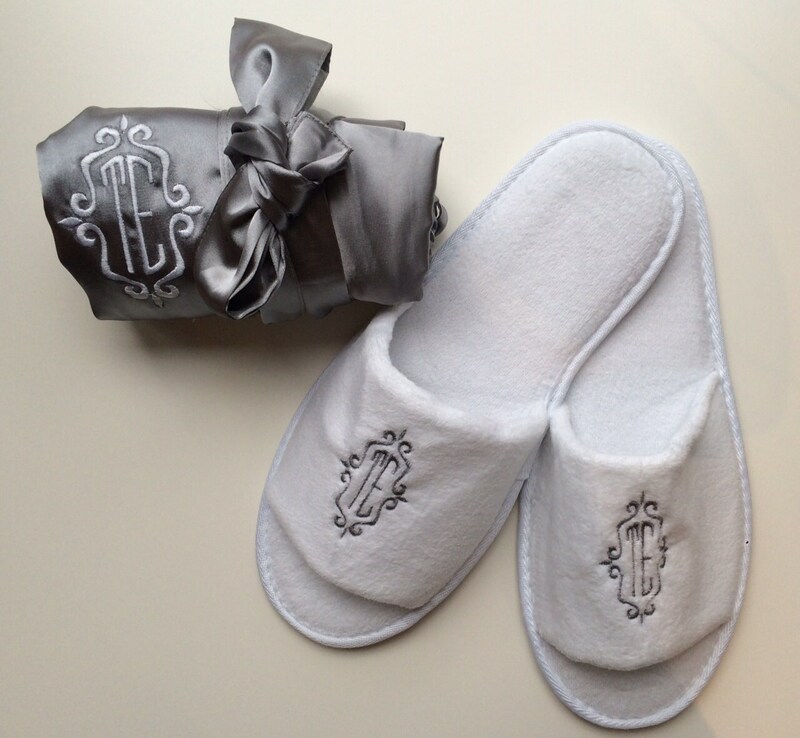 This Listing includes (7) Solid Satin Like Robes with Custom Embroidery and (7) Pairs of Monogrammed Spa Slippers to match each Robe. 8. Include your Need By Date | Please do not write asap in your notes. An actual date works best. By Purchasing this Listing you Acknowledge that you have Read and Understand this Listing the Shop Policies. All Sales are Final. We do not accept Returns or Exchanges but if you have a problem with your order please let me know. The Robes are One Size Fits Most: From 2 to 18 or XL The robes have the inner adjustable belt, which is why it works for sizes 2 to 18/XL. 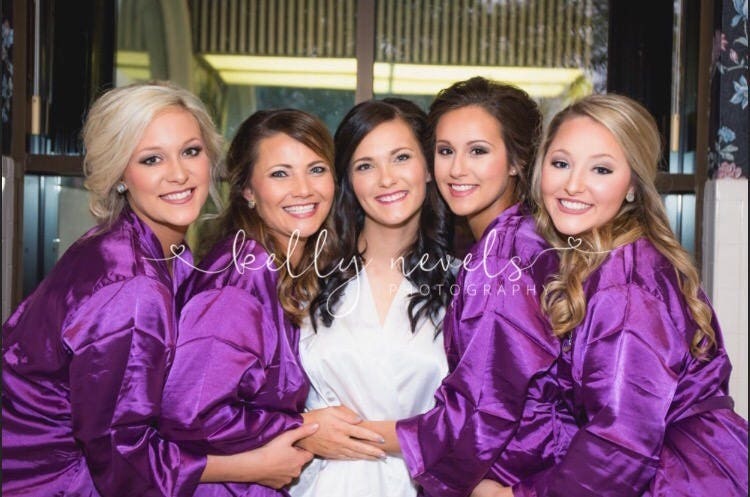 The Robes will fit ladies who wear a size 18 to 26 and the Length of the Robe is 40.5". 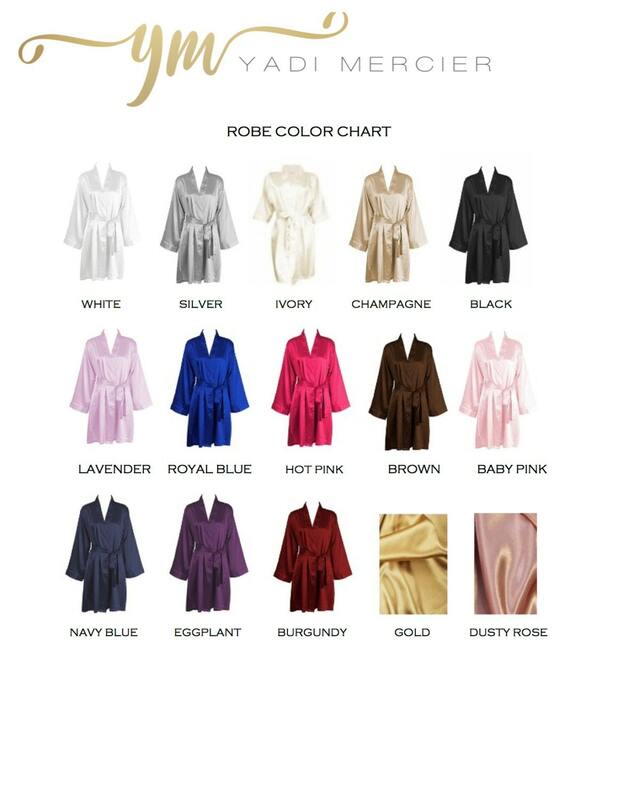 The robes have the inner adjustable belt, which is why it works for sizes ranging from 18 to 26. I do not carry specific sizes. 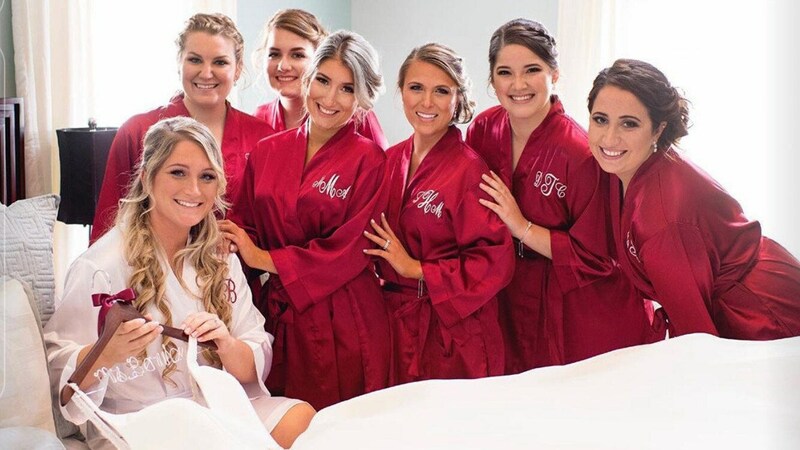 The Robes come in Regular and Plus Size. See Robe description above. 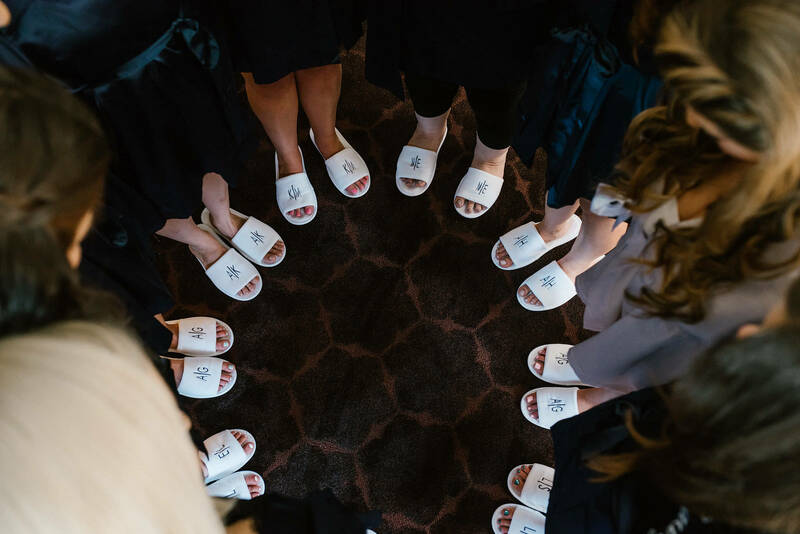 The Spa Slippers are One Size and measure 11.5" just like the Slippers that you receive when you stay at a Hotel or check into a Spa for the day. 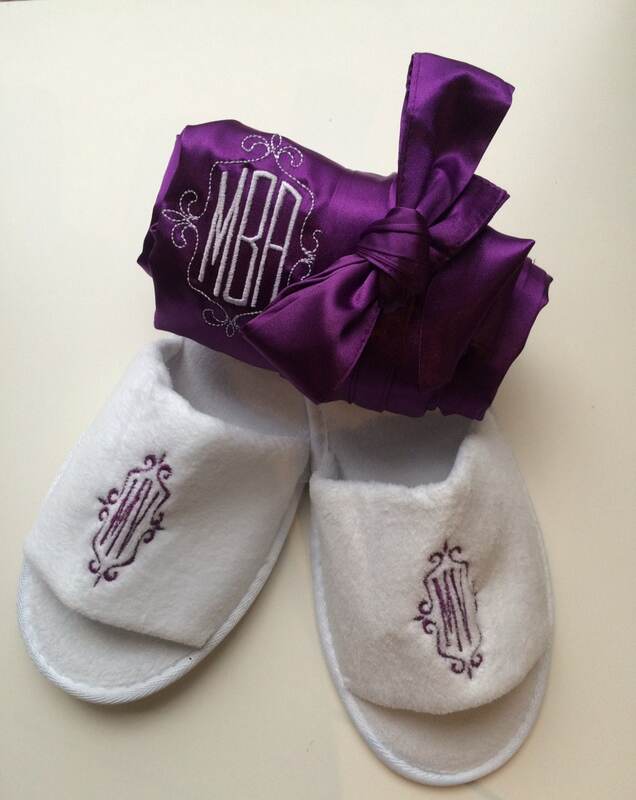 A Single Letter Embroidery means One Single Cursive Letter to be embroidered on the front of the Robe. Please do not write in your notes that you would like Design #2 with a Single Letter. 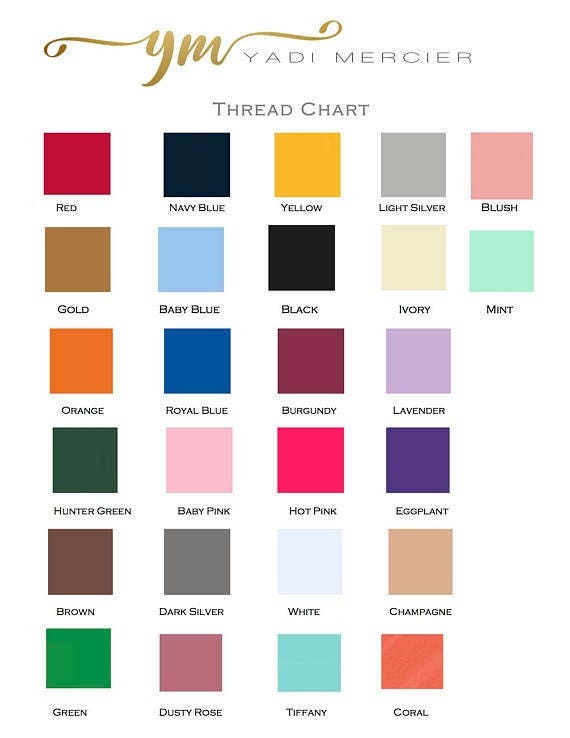 This is not "Single Letter Embroidery". 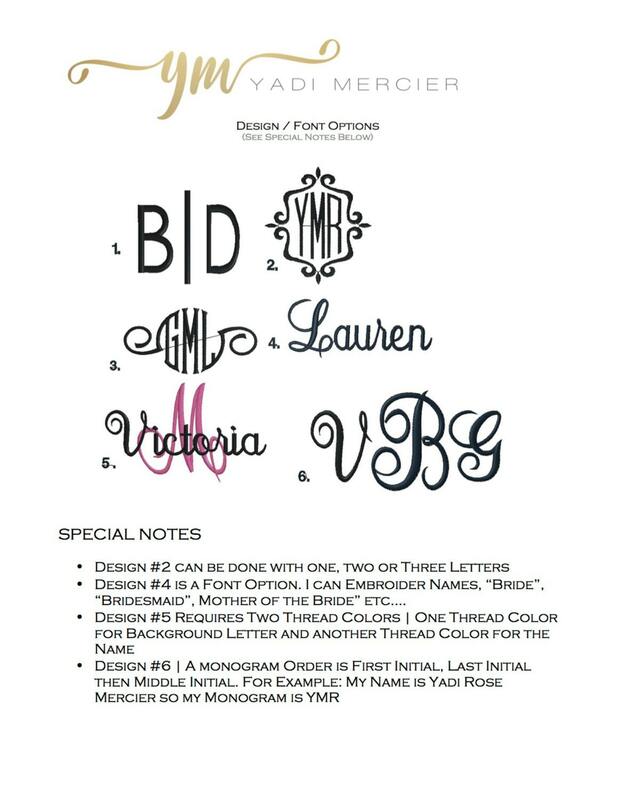 If you would like Design #2 with 1 Letter, for example, you will need to choose Front Embroidery. 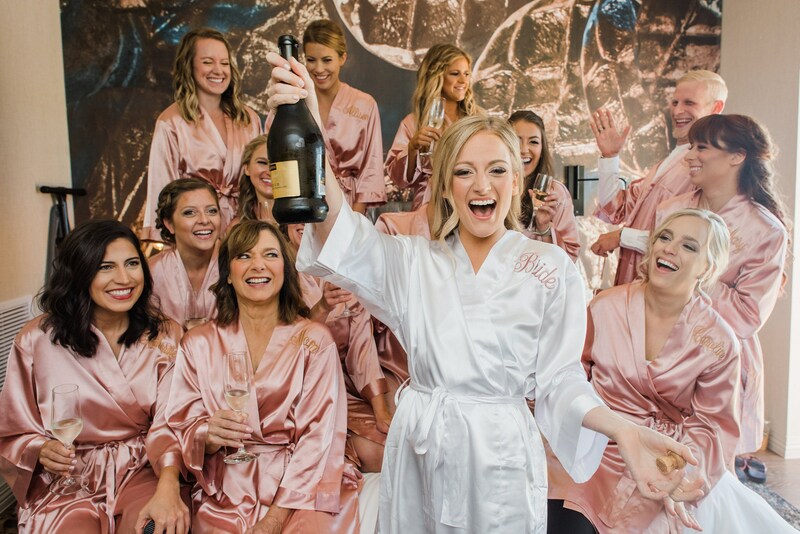 The Solid Satin Like Robes are Machine Wash and Dry Friendly. Please use a Steamer to remove the Creases just like you would when you buy a blouse or dress at the Store.